We have some catfish on the prowl, so to say. Along with our striper and trout bite there are some channel cats being landed. 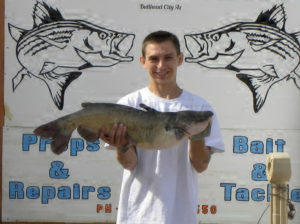 Our local angler Andrew Wright was fishing from a friend’s boat using anchovies and landed a 11.88-pound catfish at 29 3/4 inches. They were fishing for stripers and were surprised with this catch. 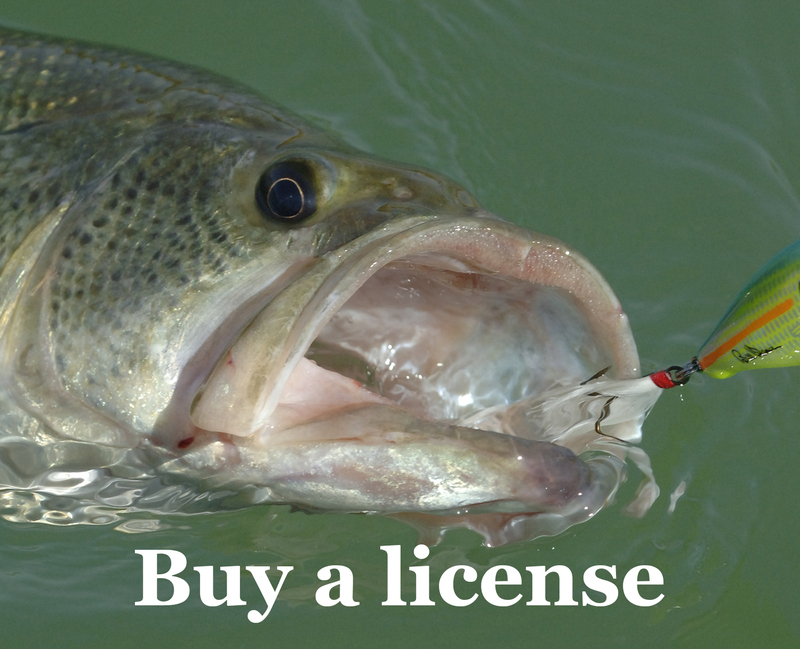 I have heard that up on Lake Mohave the bite is picking up with stripers showing signs of activity in the coves and off the points near the dam. There are reports of boils in various spots with fish running in the 4-pound range. While in your boat, you need to close in on them slowly for the best success. The evening hours have been producing the best. Watch for the birds or ripples in large areas – that should be the baitfish that the stripers are feeding on. Telephone cove has been doing OK for stripers and some catfish action. Here below the Davis Dam along the Colorado River the stripers bite is going well. These fish are mostly in the 2-pound range with the smaller ones getting to your bait first. The larger stripers are on the way this time of year; we can get some larger fish in the 20-pound range. These are average sizes which can go up or down in size. The rainbow trout are being stocked weekly at Davis Camp with the stocking rotating between Community Park and Rotary Park. I have been getting reports of nightcrawlers and PowerBait in a light green or orange working the best. This can vary so you might have to mix it up a bit to find out what is working best at the time of day you are fishing. Also try various spinners for some great action. These trout have been some good fighting fish that our Willow Beach hatchery is providing for all you anglers. Now get out there and catch your limit and bring them in to share. The Topock Marsh is been a little slow except for the duck hunters. They are having some great luck. Hope this helps hope to see you in soon thanks for your support. Now Go Catch a Fish.